Your skin is exposed to various damaging agents that adversely affect your skin whether it is pollution, ultraviolet rays from sun or a natural process called aging. All these damaging agents result in sun damaged skin, wrinkles, fine lines, crow’s feet, age spots, pigmentation, acne scarring, stretch marks, enlarged pores, blackheads and whiteheads. In order to get the treatment, you might have heard about different latest non-surgical procedures available in New York for various skin problems. One of these cosmetic procedures is Microdermabrasion, which is a safe and comfortable cosmetic procedure that is used to treat all the above mentioned skin problems. Read More : Can Microdermabrasion Ruin Your Skin? Microdermabrasion is a non-invasive and non-chemical procedure in which a spray of micro-crystals is used on the treatment area which removes the outermost layer of dead and dry skin cells. It is basically an exfoliation process that removes the superficial layer of your skin which becomes dry and dead. It also stimulates the production of collagen that results in a new layer of skin with more elasticity and improved appearance. This procedure gives you a healthier and younger-looking skin. During the procedure, the doctor directs a stream of tiny (micro) aluminium oxide crystals into the targeted area through a machine and these crystals exfoliate the skin. The attached vacuum suctions the exfoliated crystals along with dead skin cells back into the machine. There are two different types of machine used in the procedure. The first type involves a hand-held device commonly called hand-piece used to direct the crystals. The second is an advanced type which involves a diamond-tip wand that the doctor gently moves across your skin for exfoliation. The procedure helps in the production of new layers of skin that contains high levels of collagen and elasticity, both components are important for a healthy and vibrant skin. They will keep improving overall appearance of your skin. Usually, the procedure takes about 30-60 minutes and that is why it is referred as “lunch hour facial”. Approximately 5-12 treatment sessions which are 2-3 weeks apart are necessary if you want the best results, but these may vary from person to person. Microdermabrasion is best option for those patients who have fine lines or wrinkles, sun damaged skin, age spots, black heads, white heads, hyper-pigmentation, clogged pores, minor acne scars and skin texture problems. If you are a healthy adult having relatively minor skin conditions and have realistic approach about what Microdermabrasion can and can’t do for you. The procedure is not suitable to treat deep facial creases, wrinkles and sagging skin. 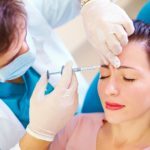 Is there any difference between Dermabrasion and Microdermabrasion? Yes, there is a difference between both the procedures, although both are used to remove outermost layer of skin; however there is a difference between the problems which both procedures treat. Dermabrasion is an intensive procedure which is used to treat deep facial lines, acne scars, extreme sun damaged, pox marks and scars from diseases or accidents. It is safe treatment only for people having light skin because on darker skin it can cause scarring and discoloration. On the other hand, Microdermabrasion is used to treat dull skin, age spots, pigmentation etc. with the exfoliating crystals sprayed on the skin. It effectively works on all types and colors of skin and cause no scarring or discoloration. Who is not an ideal candidate for the treatment? Patients having severe acne, rosacea, eczema and dermatitis are not ideal candidates for Microdermabrasion. This treatment is not recommended for those having deep scarring, deep facial creases, undiagnosed lesions, any auto-immune disorder or unstable diabetes. Pregnant women should not go for this treatment. Recently, if you have chemical peels or any other treatment such as collagen injections then you should wait for 2-3 weeks before going for Microdermabrasion. Immediately after the treatment, the treated skin may appear pink but it fades off within few hours. You will notice results after the first treatment session, with improved skin color, tone and overall health. You will feel fresh and a soft texture of treated skin. You can also apply makeup soon after the treatment in order to conceal any visible signs of the treatment. However, you need to get multiple treatment sessions in order to fully benefit with the procedure. The results and recovery of Microdermabrasion is the most favorable of all the other non-surgical facial procedures available today. Are there any side effects or risks involved in the treatment? There is no serious side effect or risk associated with the treatment, if it is performed by experienced and qualified specialist. Some patients may experience slight skin irritation; redness and swelling after the treatment but all these are short-lived effects. Your skin may become sensitive to sun so make sure to use sunscreen especially following the treatment. The risks are minimal but problems such as infection may occur if the procedure is not properly performed. 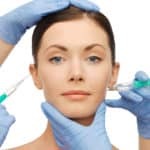 Although the treatment can safely performed by trained aesthetician or registered nurse, cosmetic dermatologist or plastic surgeon, but it is recommended to consult a board certified plastic surgeon because he/she is likely to take complete care of any skin problem affected by the procedure. The team of plastic surgeons at Laser Klinic are experienced, trained and highly capable of treating patients with Microdermabrasion in such a best way that it gives them complete benefits of the procedure.